Visit websites listed below for SPECIAL OFFERS on Short Term Accommodation & Long Term Furnished Accommodation Perth and WA. Looking for short or long term accommodation? Choose from our spacious One, Two or Three Bedroom fully self-contained apartments offering large balconies overlooking the Swan River or surrounding parklands. Our long stay special rates offer competitive savings when staying 7+ nights with increased savings for stays of +28 nights. Rates include access to all hotel facilities, including gymnasium, outdoor swimming pool, complimentary Wi-Fi and complimentary undercover parking. Assured Ascot Quays Apartment Hotel is ideally located on the banks of the beautiful Swan River with city, river and parkland views, only six kilometres from Perth City and four kilometres from the domestic airport. 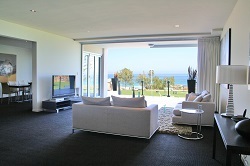 Offering 68 4.5 star fully self-contained serviced apartments in Perth ranging from one to three bedrooms. The apartments are designed with space and comfort in mind with features including gourmet kitchens with dishwashers, full sized fridge, balconies and great views. Other features include 24 hour Reception, complimentary onsite undercover parking, 25 metre swimming pool, gymnasium, business services, complimentary Wi-Fi access, tour desk, bike hire and access to surrounding parklands. Continental buffet breakfast served daily in our Breakfast Room. The pantry shop in the lobby provides a range of heat and eat meals, fresh salads, pastries, and snacks as well as alcoholic and non-alcoholic beverages. 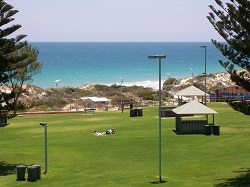 Mullaloo Beach Suites is located on Perth's premier Sunset Coast, just a 30 minute drive north of Perth and is overlooking the amazing Mullaloo beach. Mullaloo Beach Suites is a 5 star property made up of 12 boutique suites with 2 and 3 bedroom suites including 2 large penthouses. We are the perfect destination for the discerning corporate traveler through to a family holiday for six. Mullaloo Beach Suites features some of the finest hotel amenities, including Plasma TV's in the lounge and master bedroom, Free wireless broadband internet, foxtel, Spa baths in the ensuite of each master bedroom these eye catching individually furnished self contained apartments are guaranteed to impress. Not to mention some of the best views from any hotel in Perth! These suites contain 2 large bedrooms with a king size bed and 2 single beds. Ensuite bathroom with spa located off the master bedroom. Fully Self Contained Gourmet Kitchen. Separate Laundry area. Private Balcony overlooking the ocean. Desk phone and cordless phone, wireless broadband, Large Plasma TVs in lounge and master bedroom and a selection of Foxtel channels, in-room safe, luxury furnishings. Suitable for 4 people. These suites contain 3 large bedrooms with a king size bed and 4 single beds. Ensuite bathroom with spa located off the master bedroom. Fully Self Contained Gourmet Kitchen. Separate Laundry area. Private Balcony overlooking the ocean. Desk phone and cordless phone, wireless broadband, Large Plasma TVs in lounge and master bedroom and a selection of Foxtel channels, in-room safe, luxury furnishings. Suitable for 6 people. 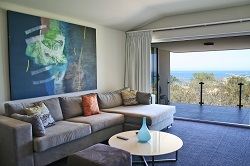 These suites are the flagship of Mullaloo Beach Suites. They contain 3 opulent bedrooms with a king size bed and 4 single beds. Ensuite bathroom with spa located off the master bedroom. There is a massive Fully Self Contained Gourmet Kitchen. Separate Laundry area. A large private Balcony overlooking the ocean is perfect for entertaining. Desk phone and cordless phone, wireless broadband, Large Plasma TVs in lounge and master bedroom and a selection of Foxtel channels, in-room safe, luxury furnishings. Suitable for 6 people.